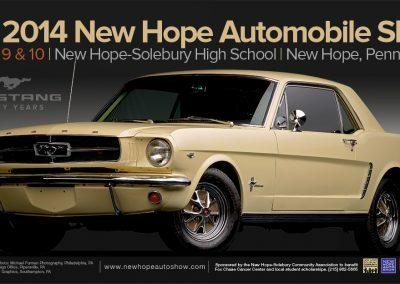 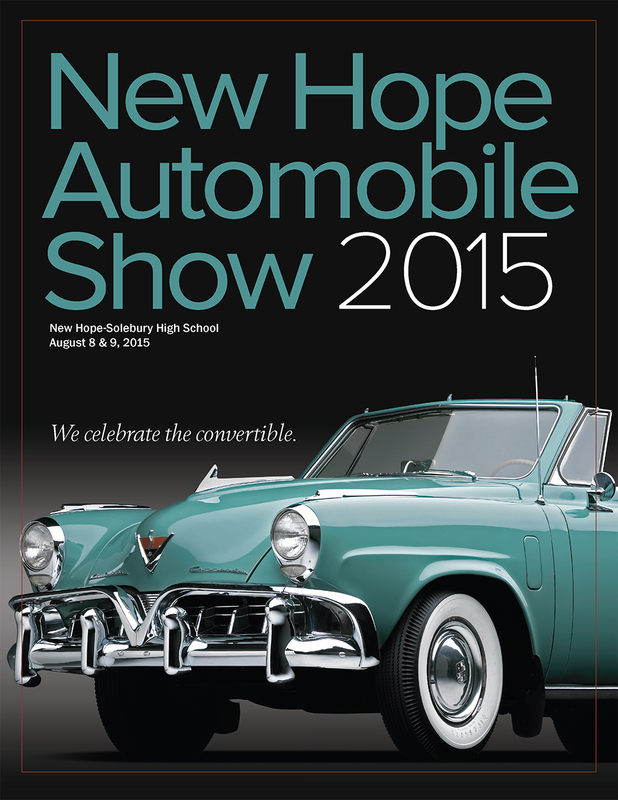 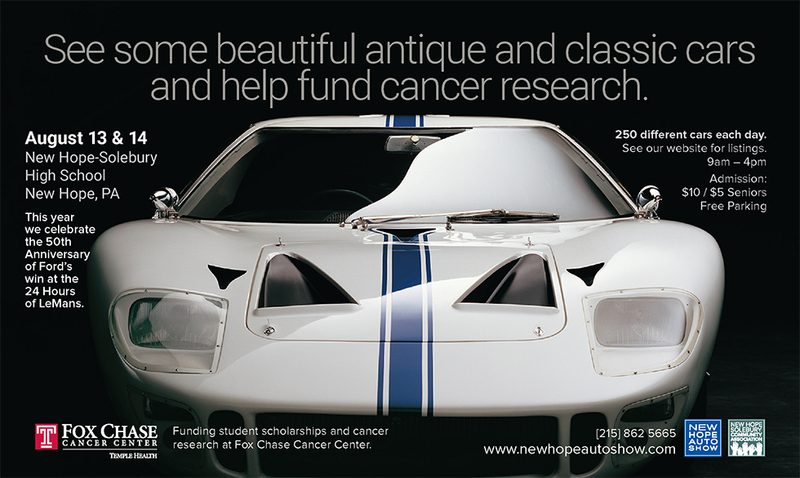 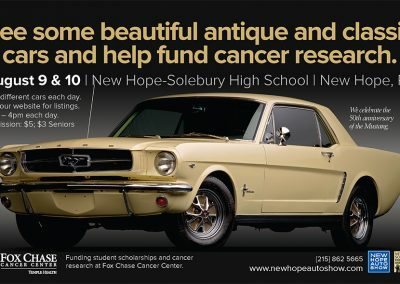 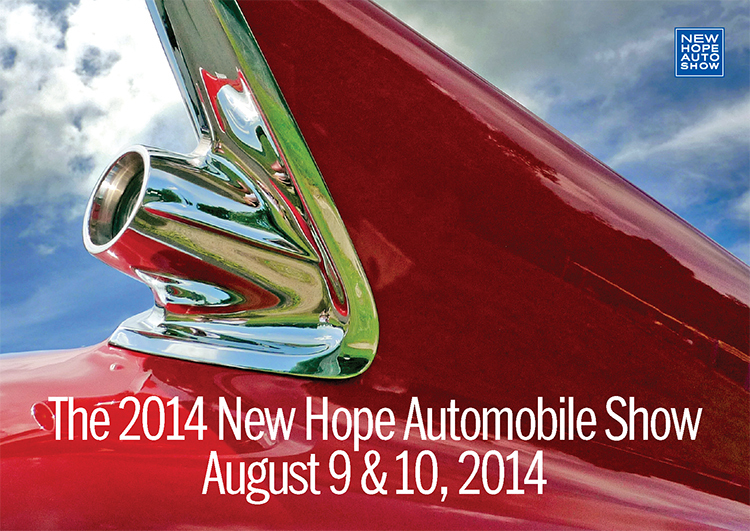 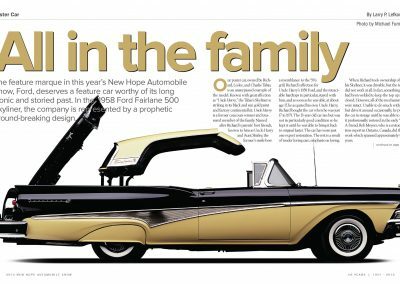 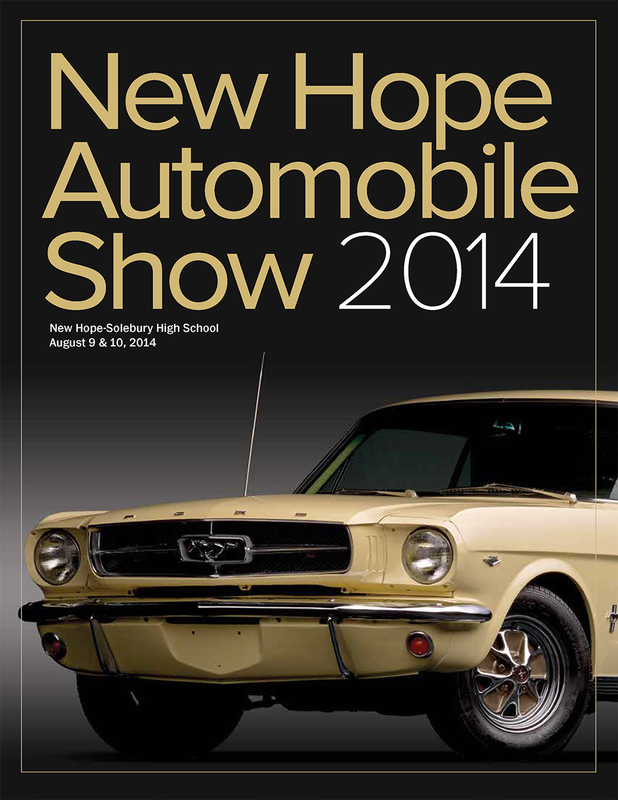 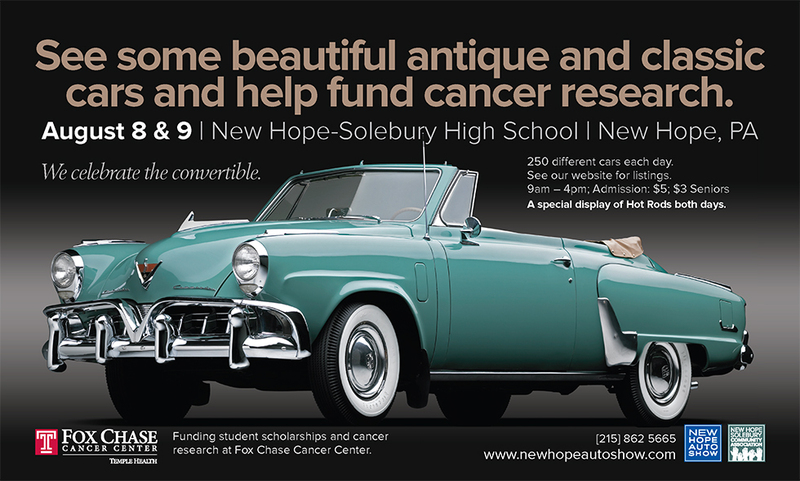 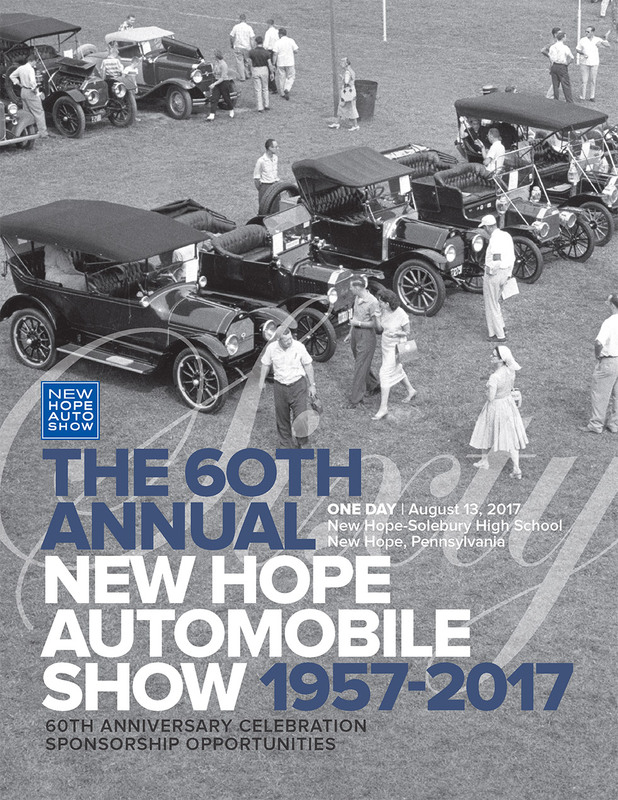 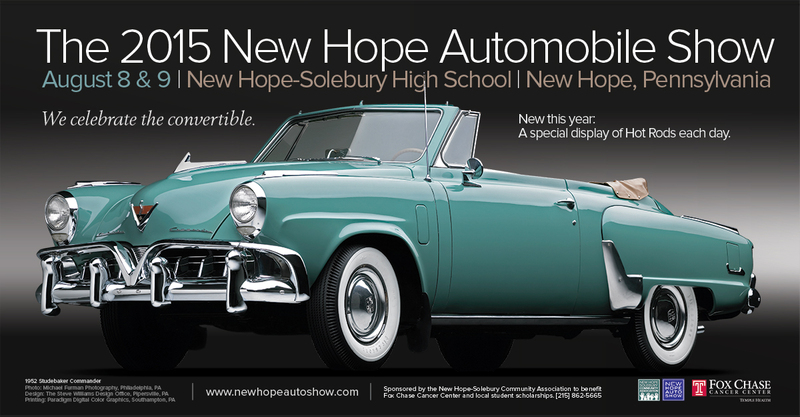 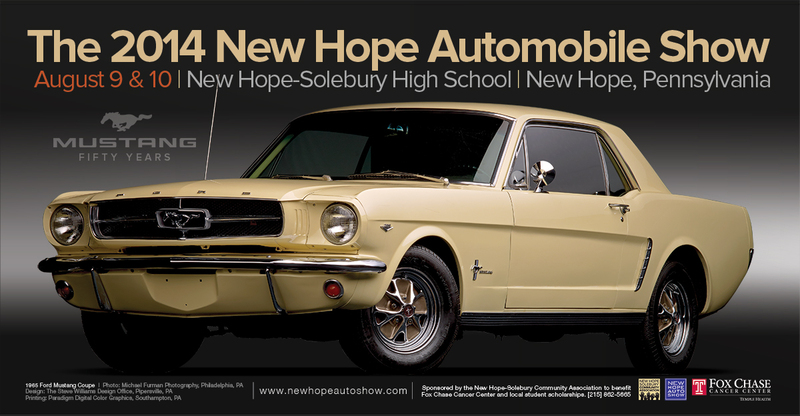 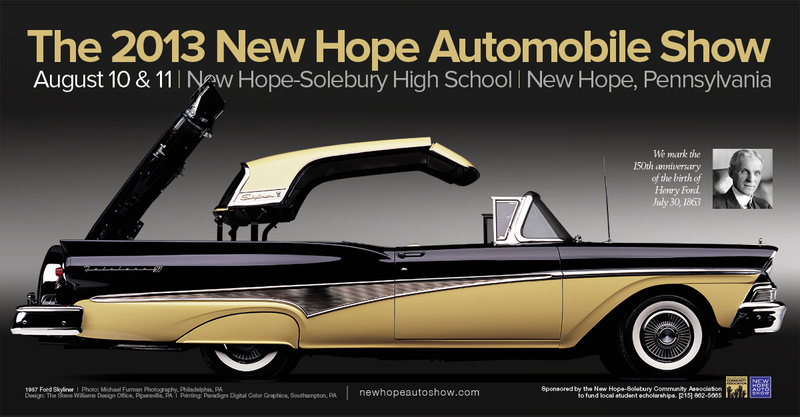 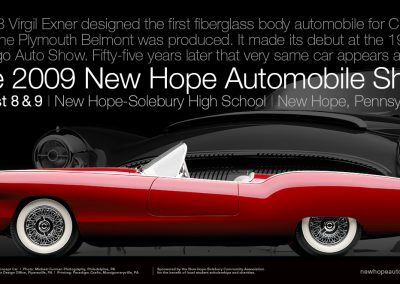 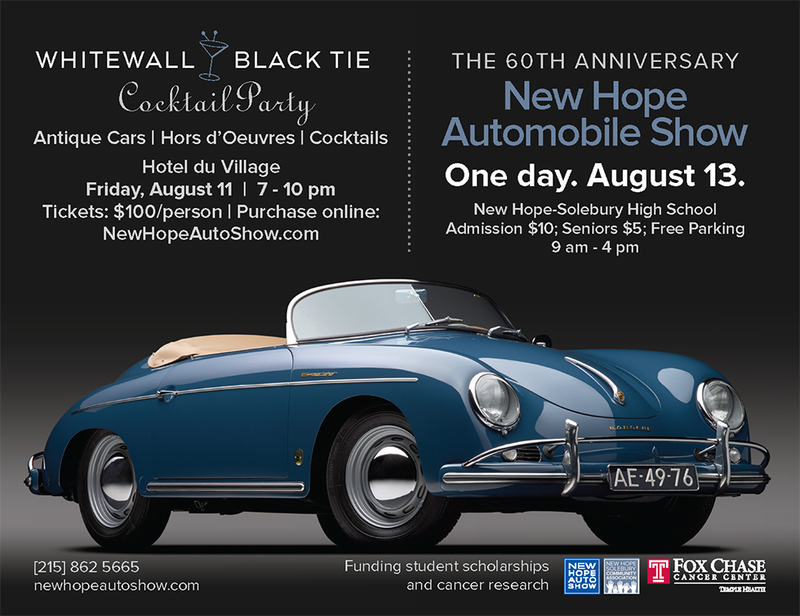 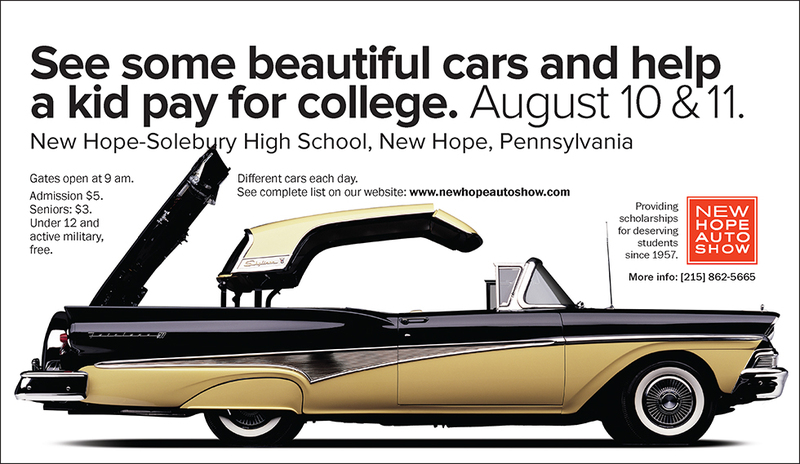 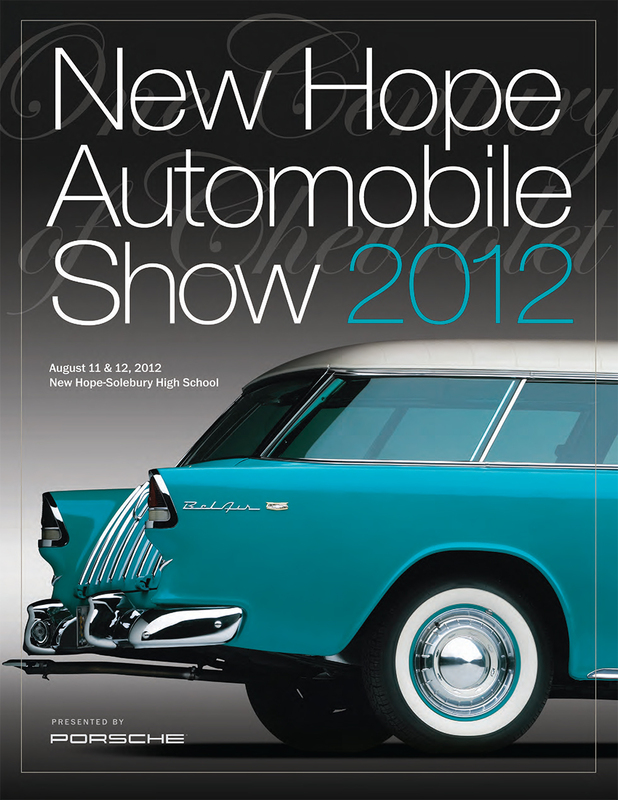 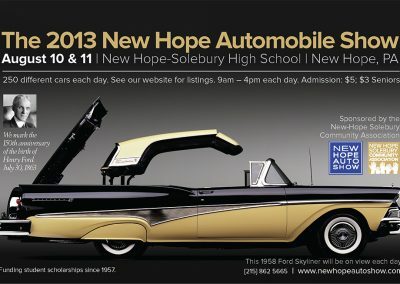 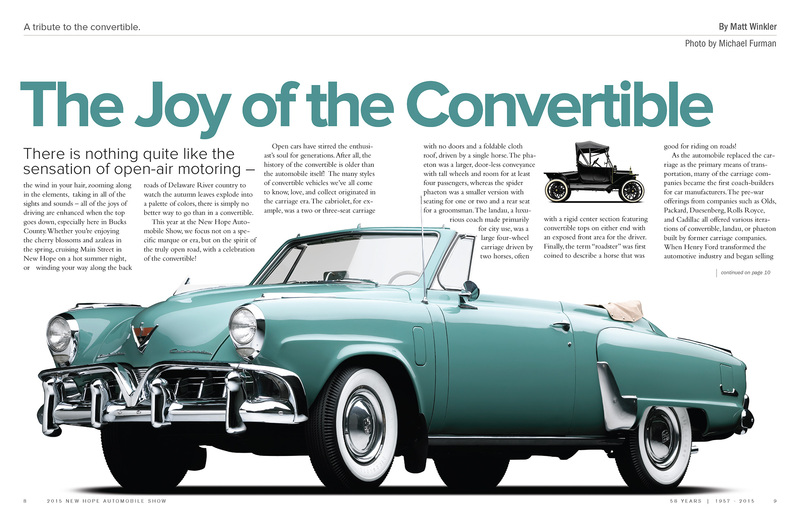 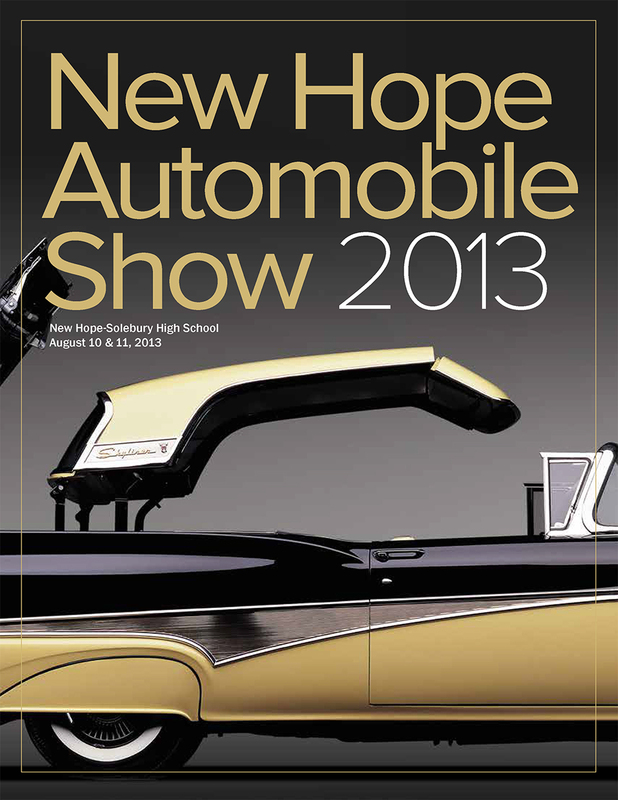 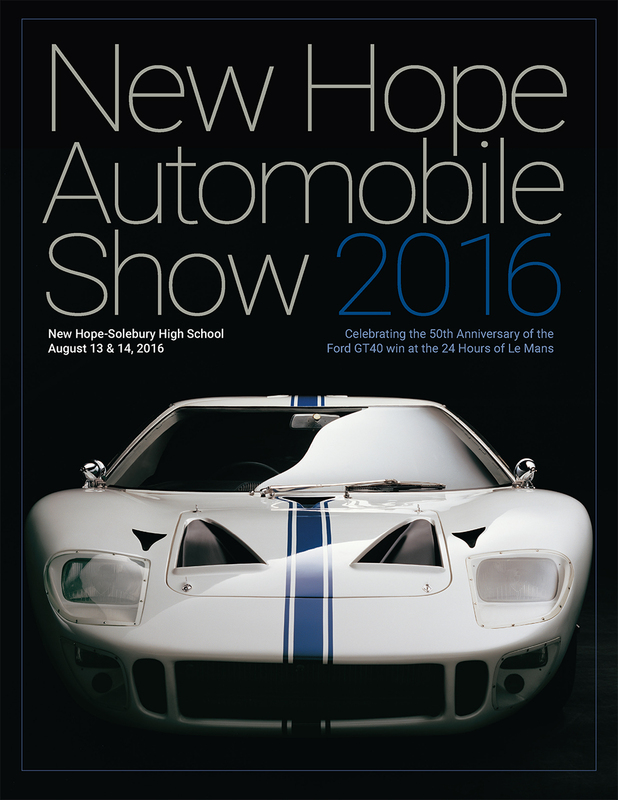 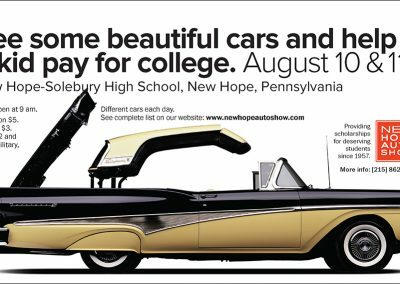 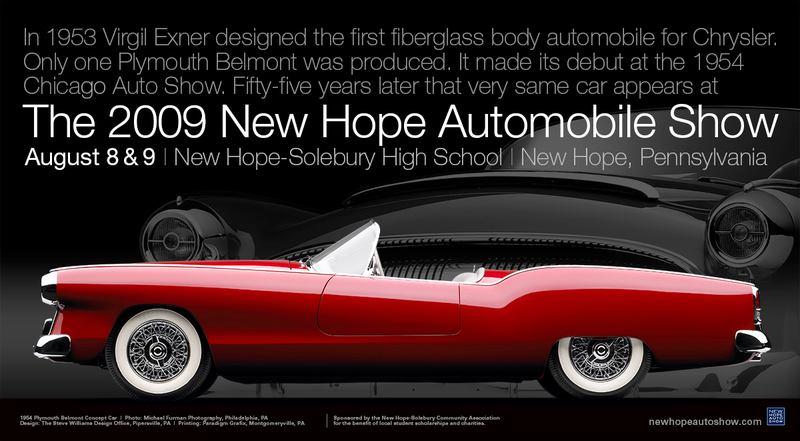 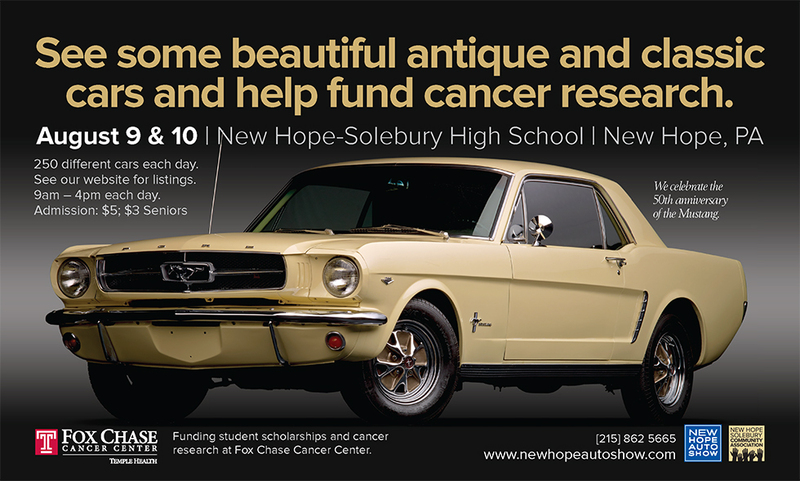 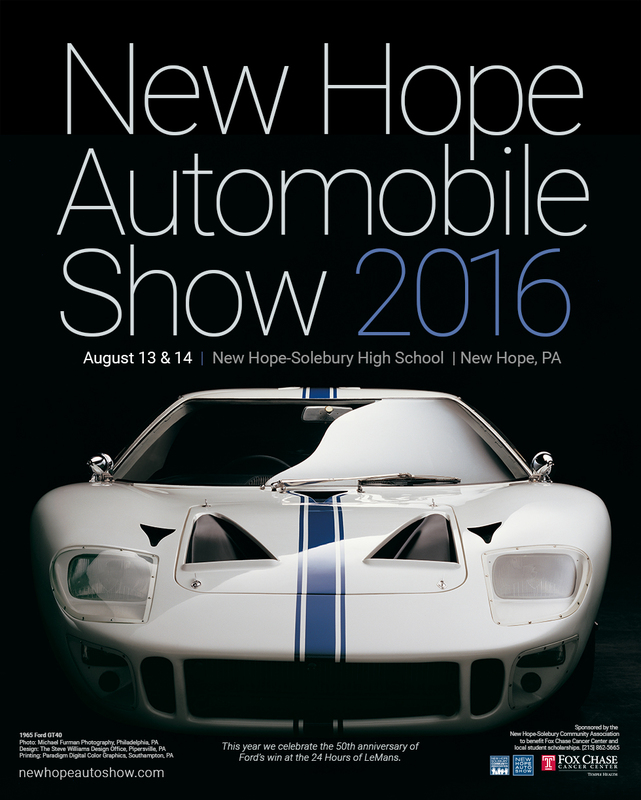 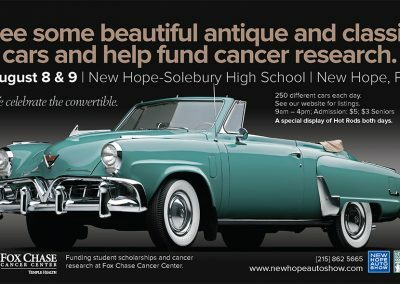 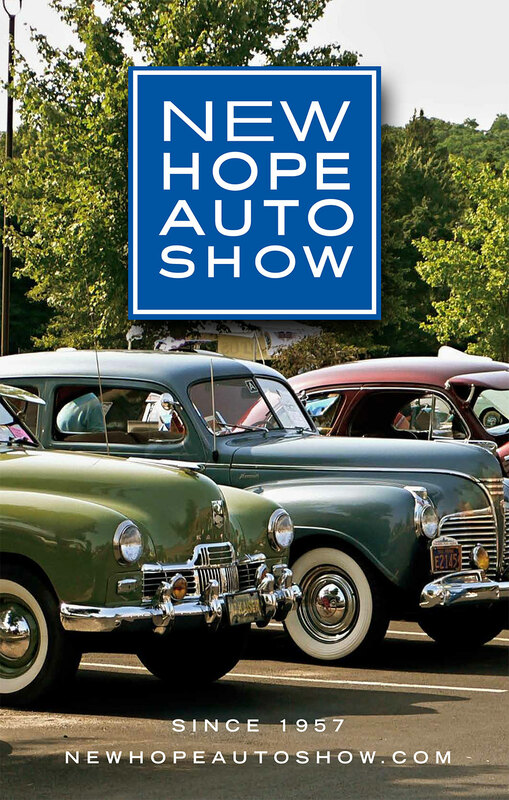 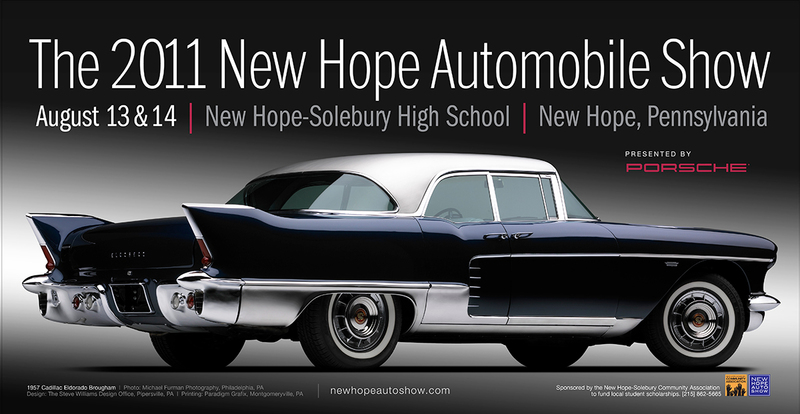 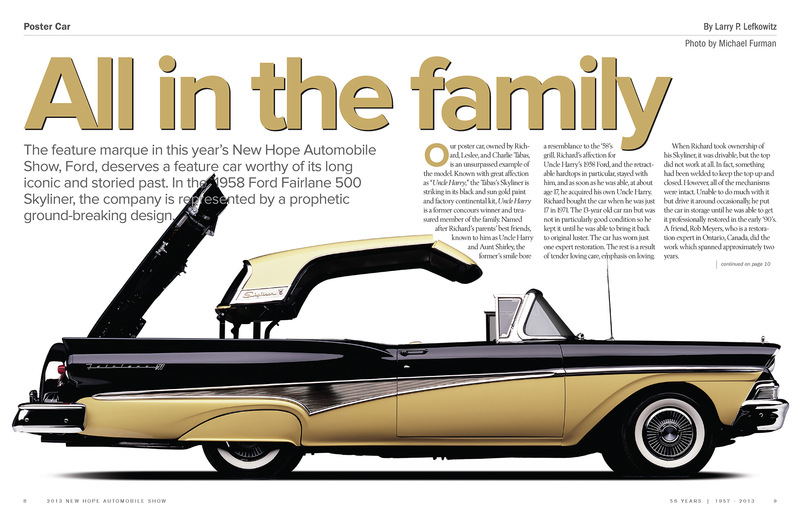 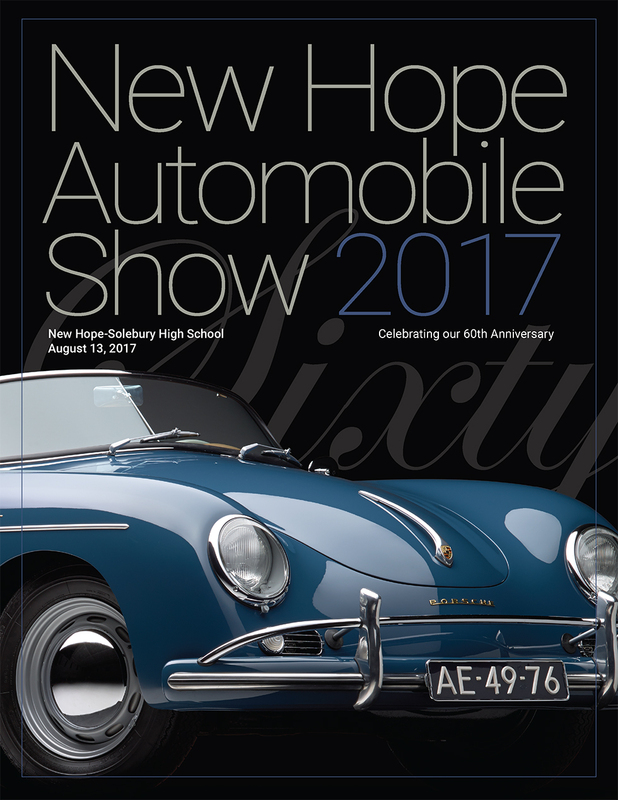 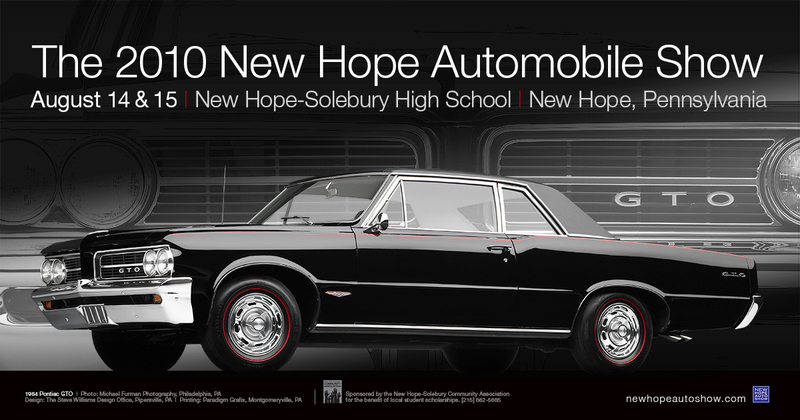 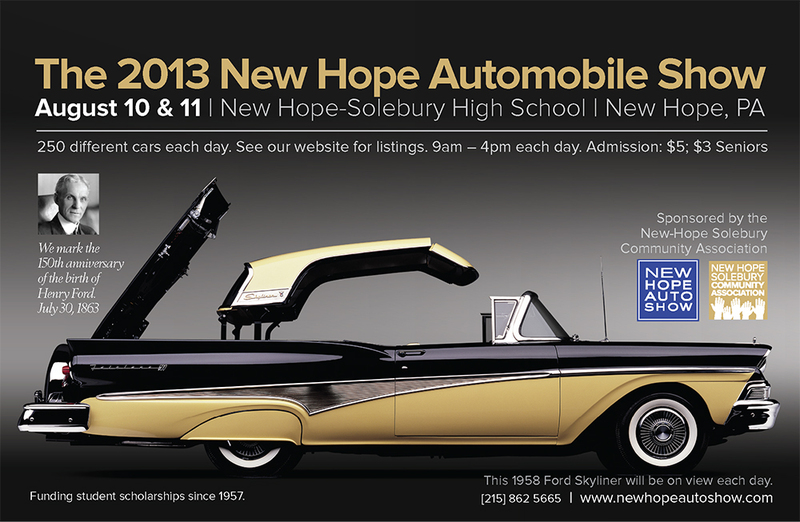 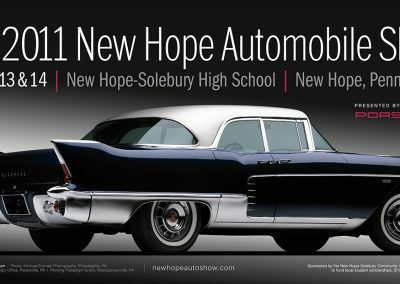 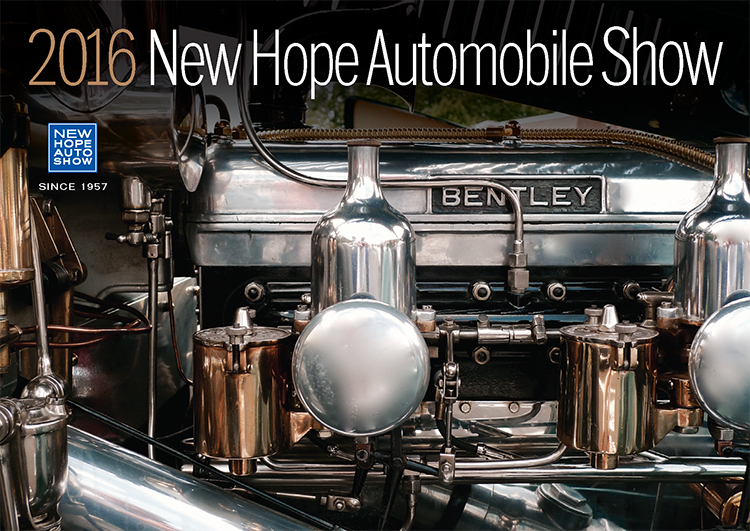 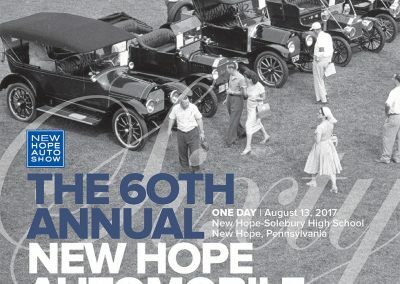 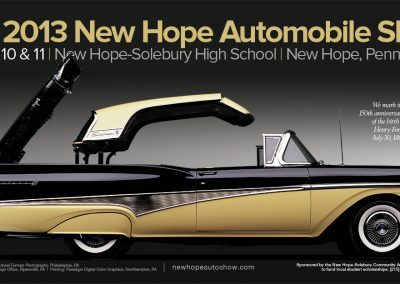 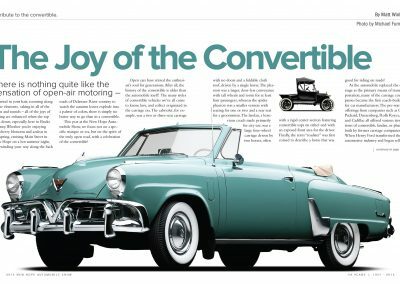 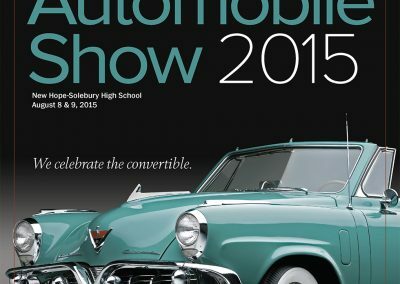 The New Hope Automobile Show began in 1957 to raise money for a school gymnasium. 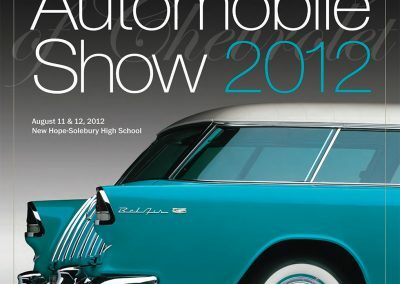 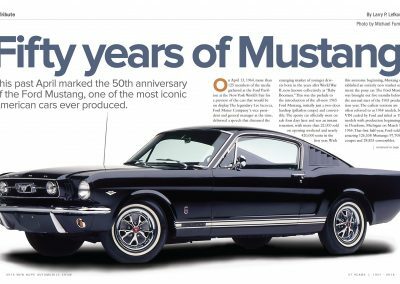 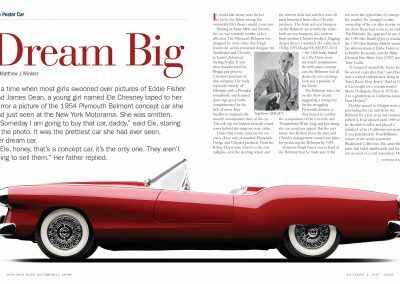 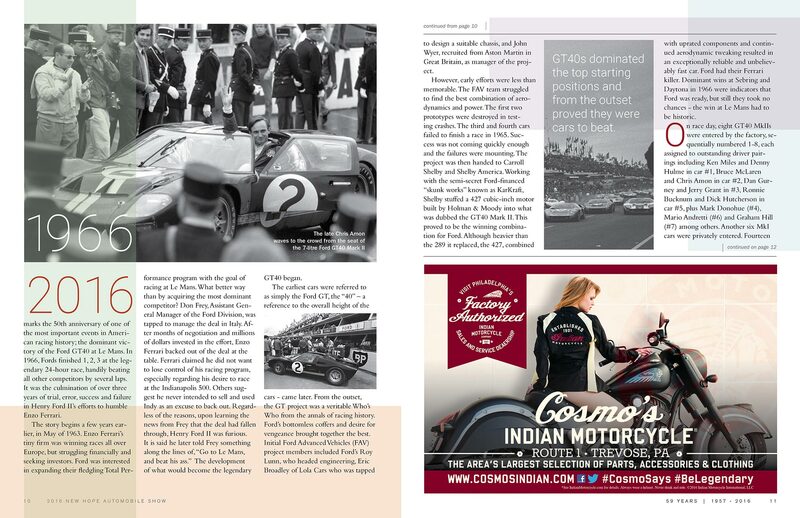 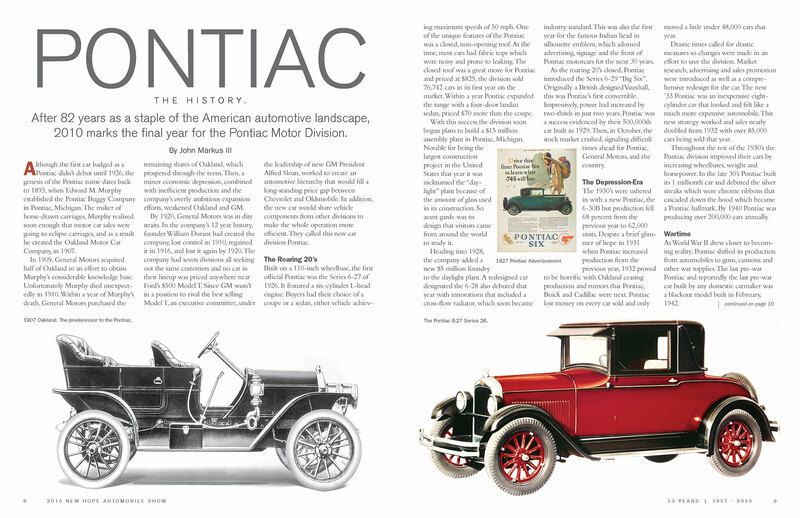 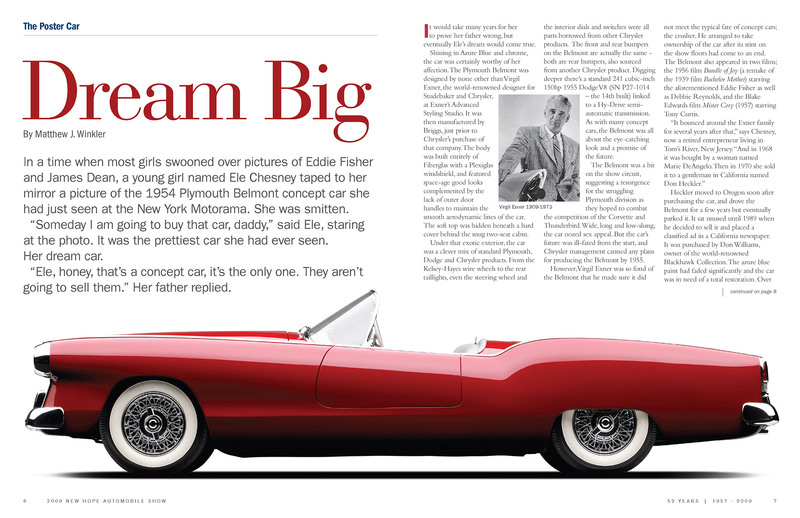 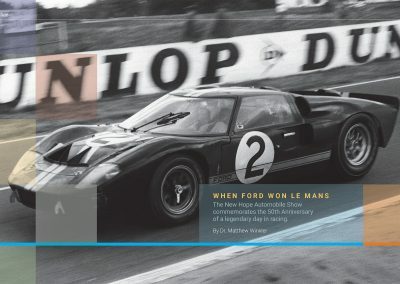 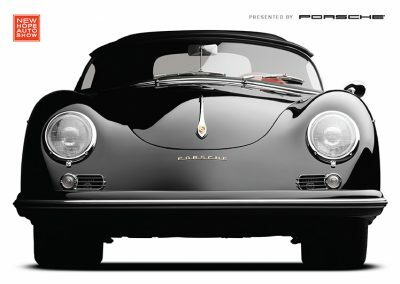 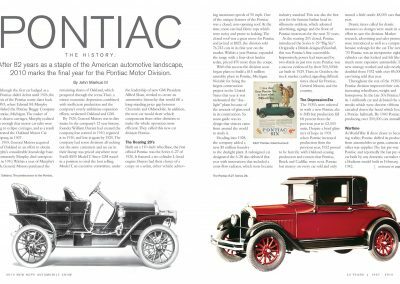 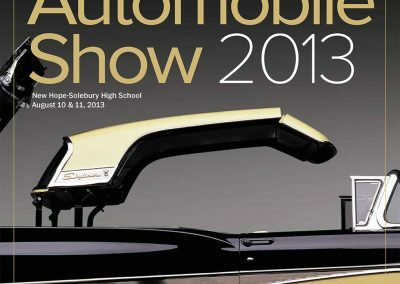 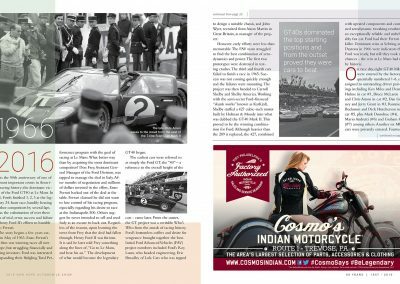 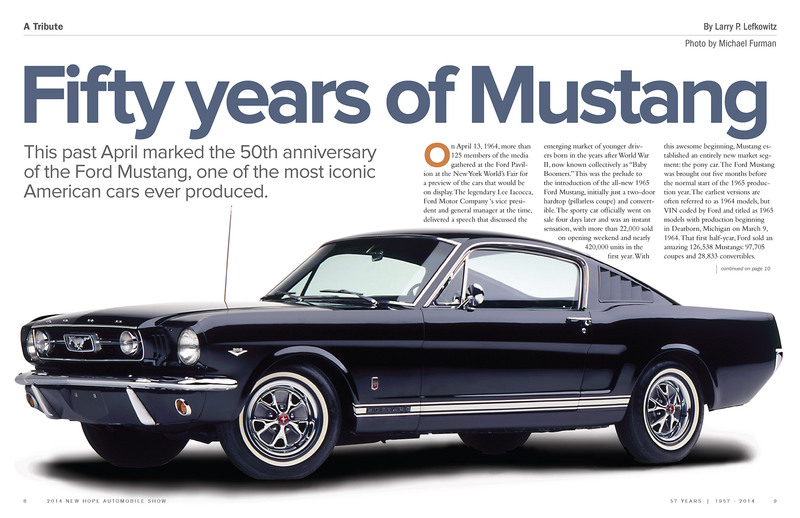 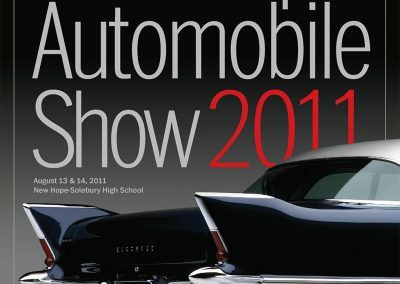 Over the years the show grew in size and popularity to become one of the most prestigious automobile shows in America. 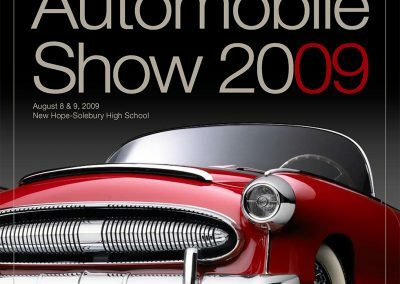 But up until the late 1990s the show never really had a true identity. 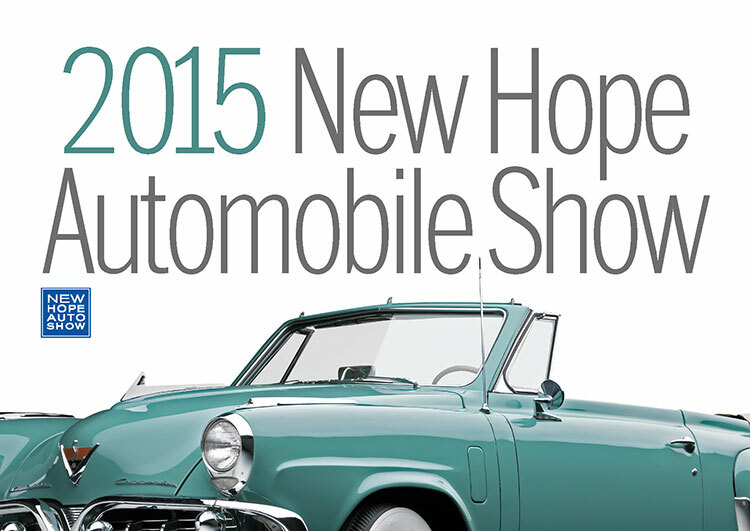 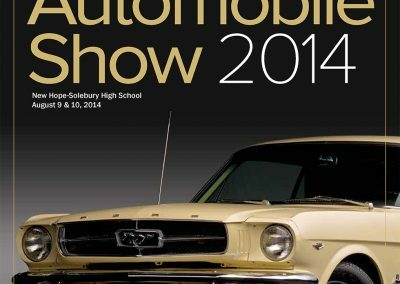 After 43 years, it was time to update the Auto Show’s brand. 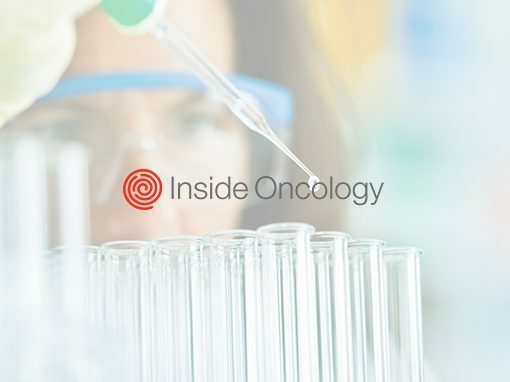 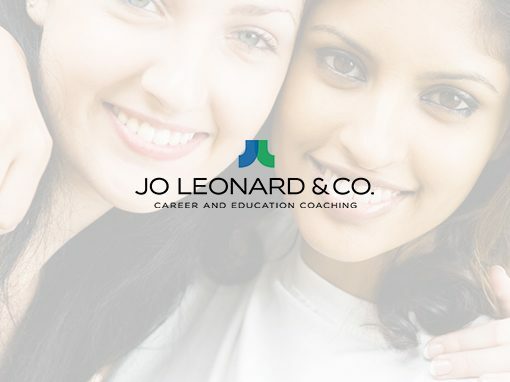 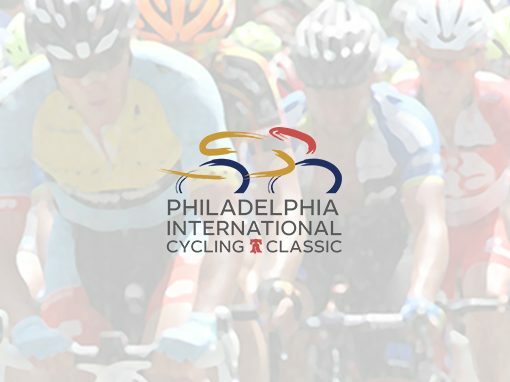 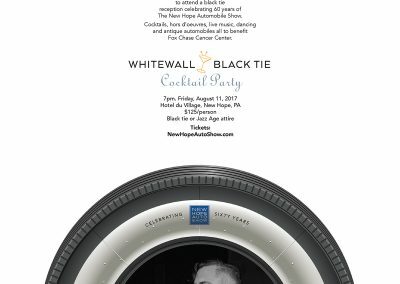 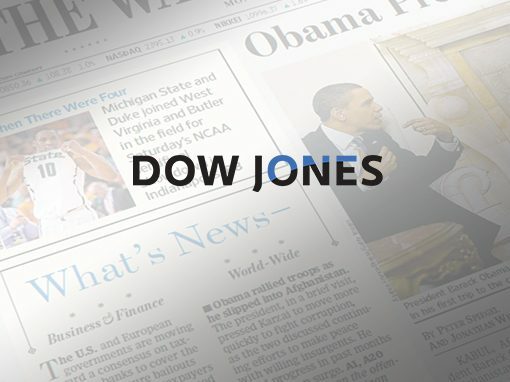 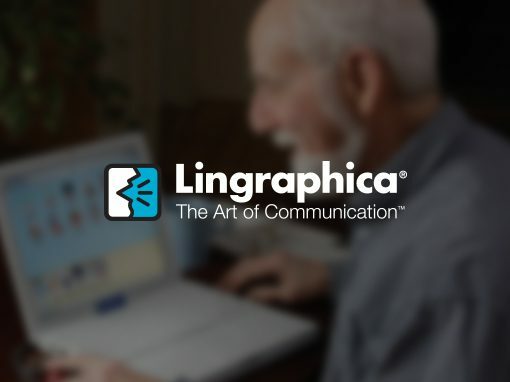 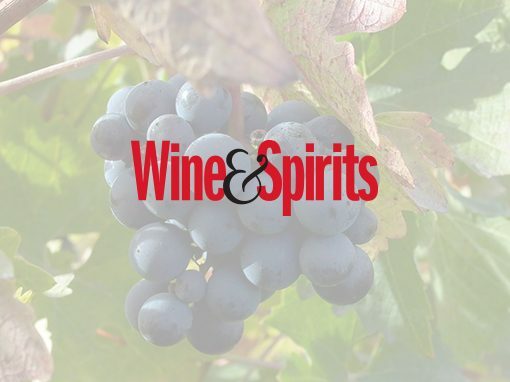 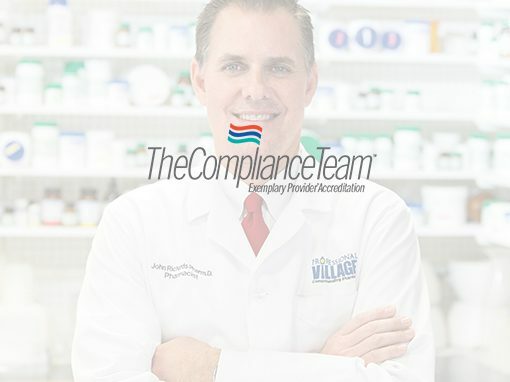 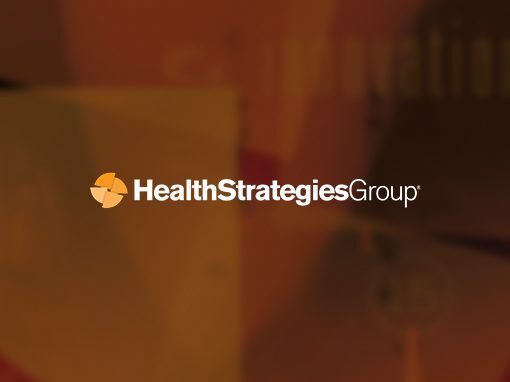 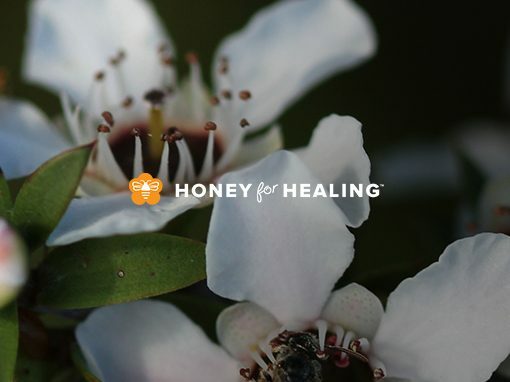 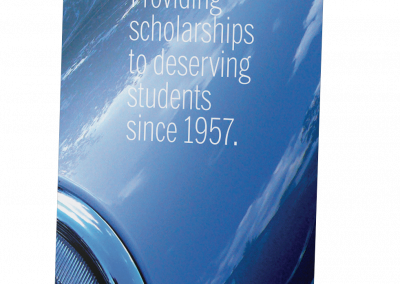 This began with creating a new logo, one that would work effectively in print and web. 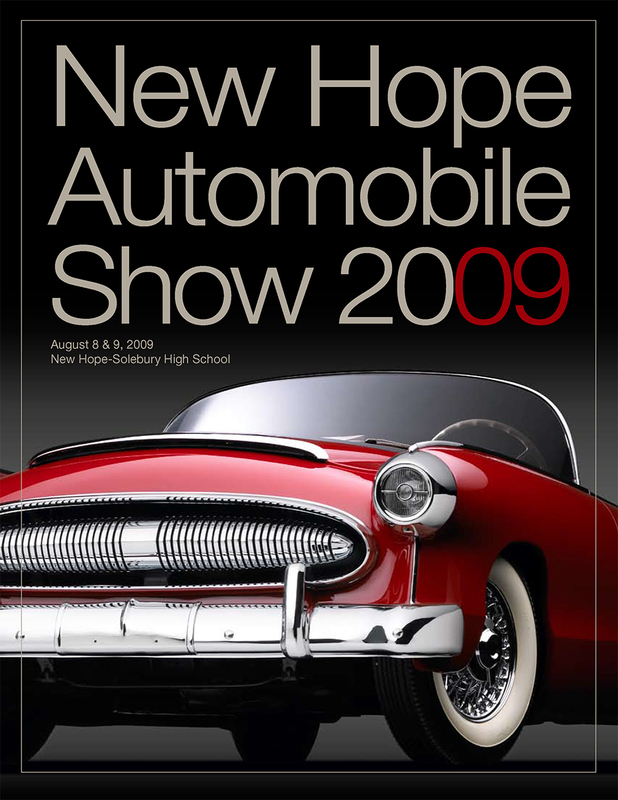 The show needed to simplify it’s logo and to create an overall look that would immediately identify the show as the prestigious event it had become. 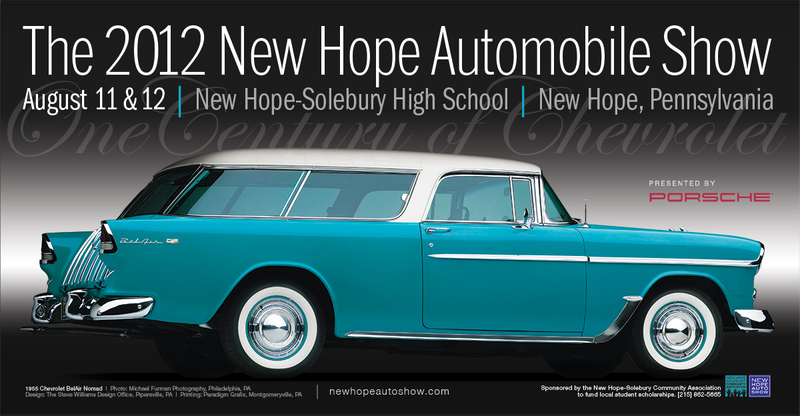 We began by looking at other local and national auto shows to see how we could separate New Hope from the others. 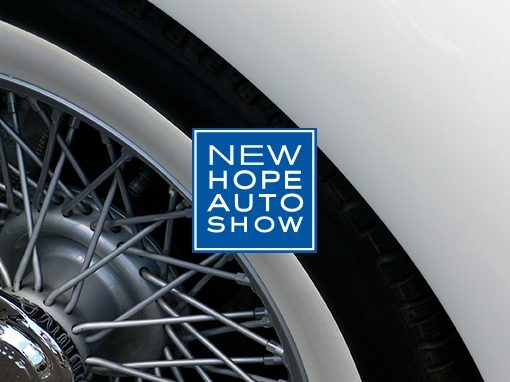 Though the show has always been, and will continue to be officially called the “New Hope Automobile Show”, we felt that in order to create a simple icon for multiple purposes, we chose to shorten the word Automobile to just Auto. 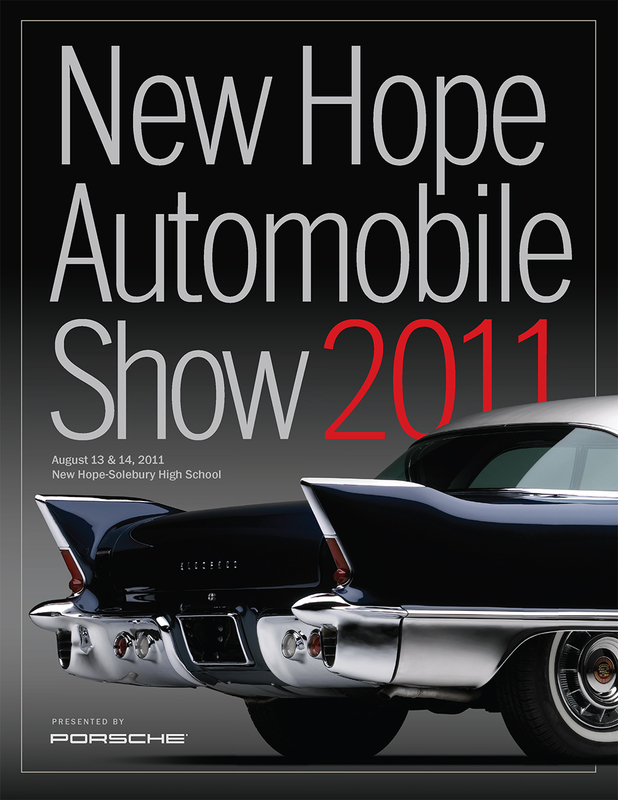 In doing so, we were able to create a stacked type design that fit nicely into a square space. 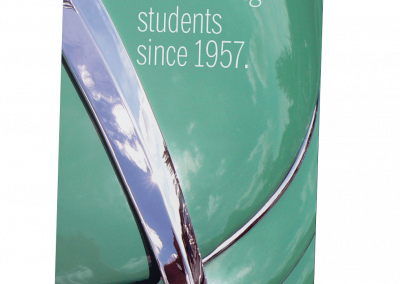 Starting with Monotype’s Sackers Gothic Bold, we made some modifications to the weight and then altered some of the strokes. 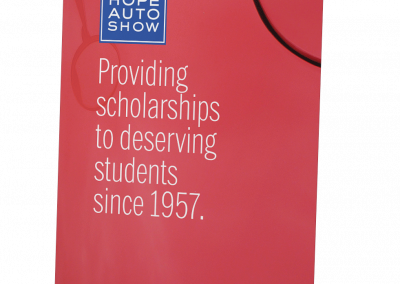 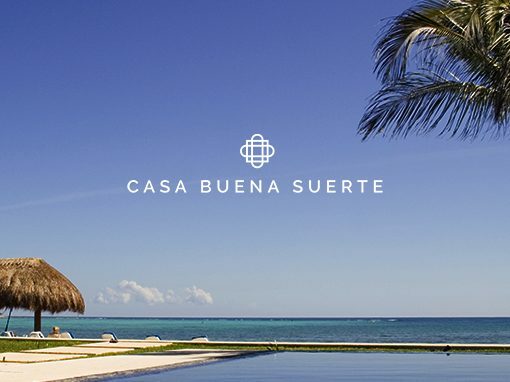 The type is knocked out of a royal blue, but has been used with a variety of colors to suite the specific need. 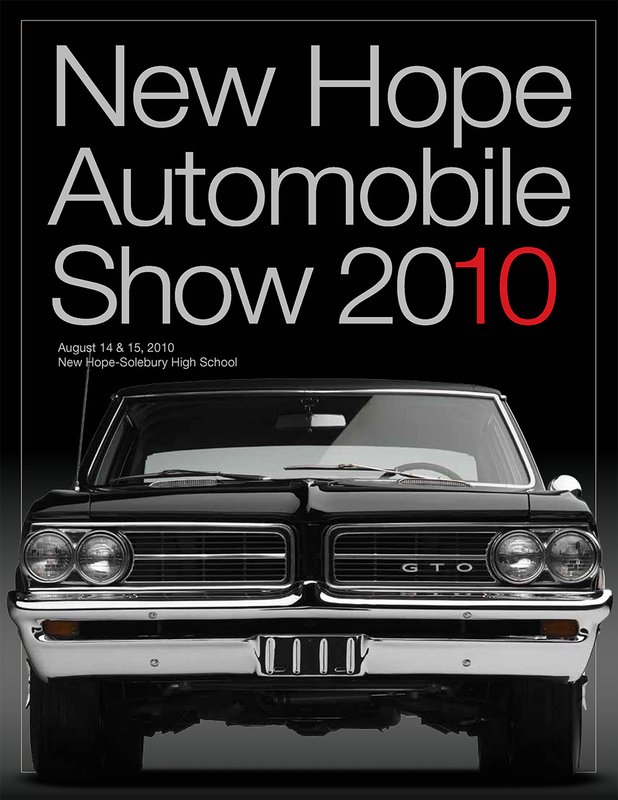 As part of the total brand we inserted “The” at the beginning of the name to reinforce the singularity of this prestigious show. 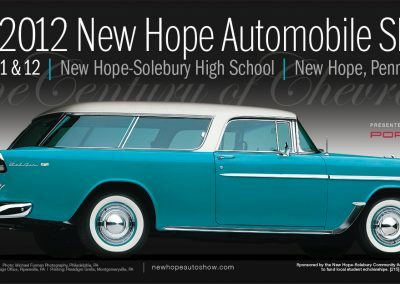 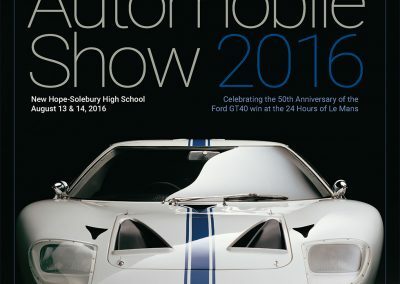 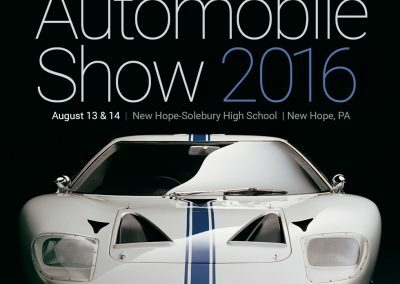 So whenever possible the title of the show is “The New Hope Automobile Show”. 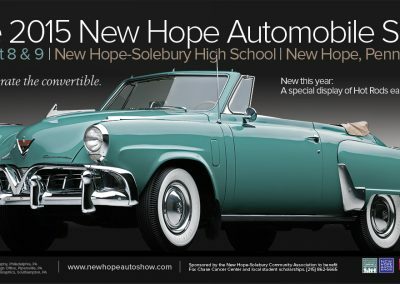 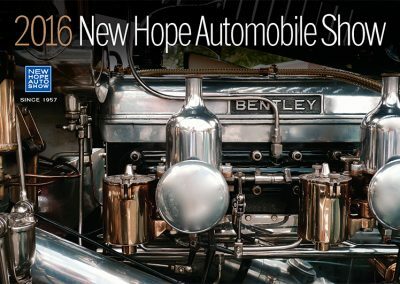 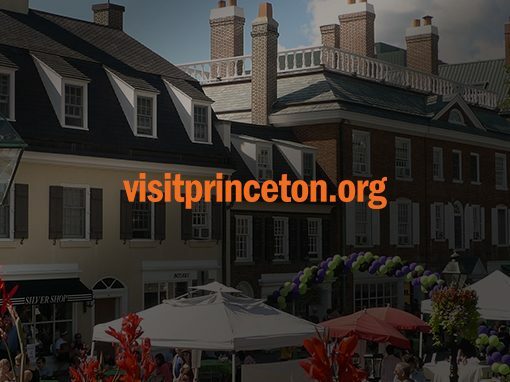 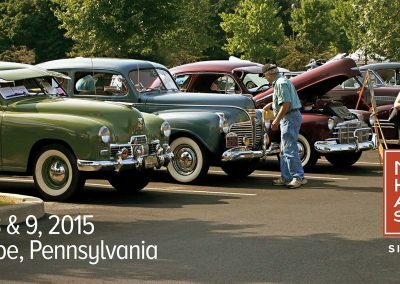 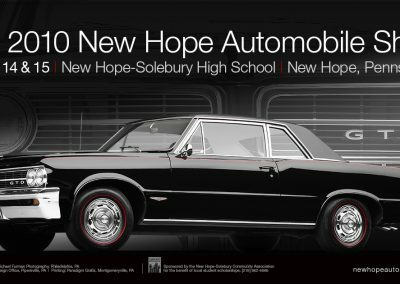 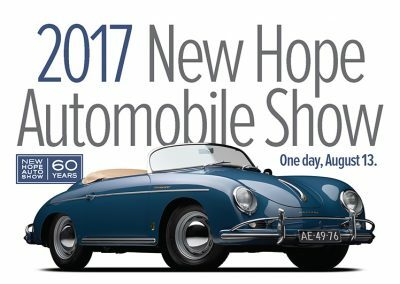 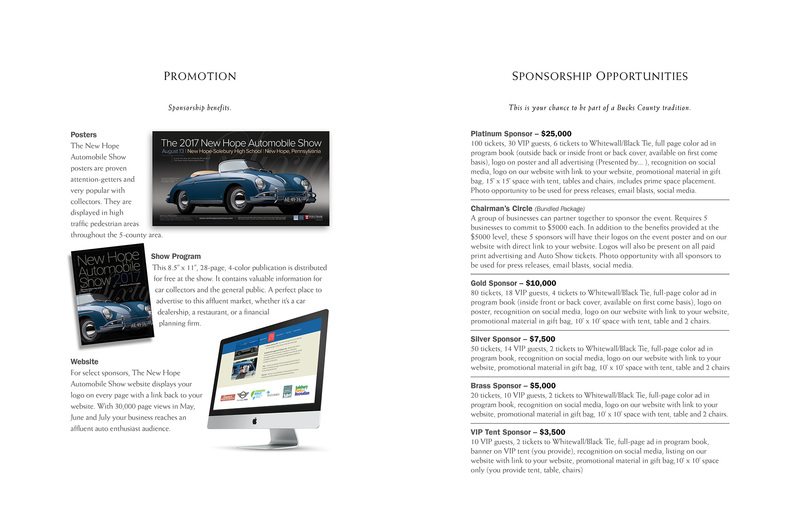 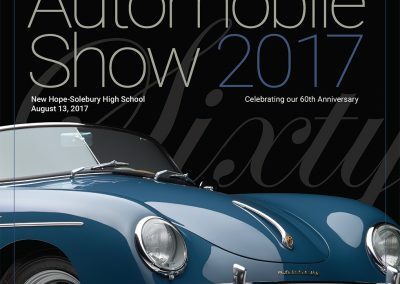 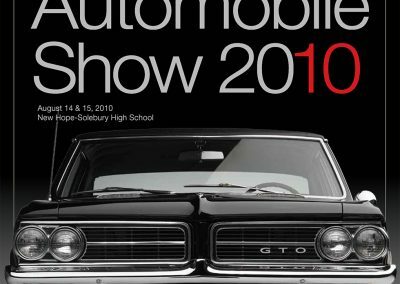 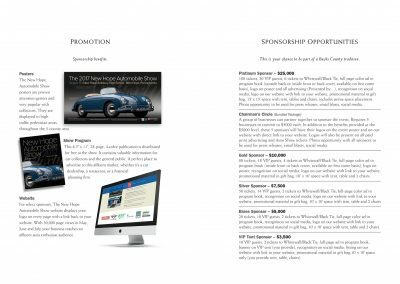 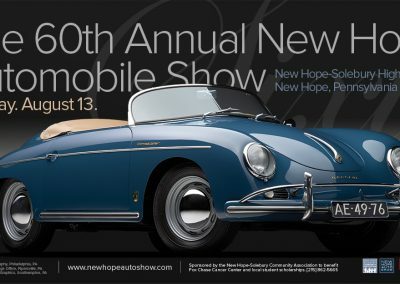 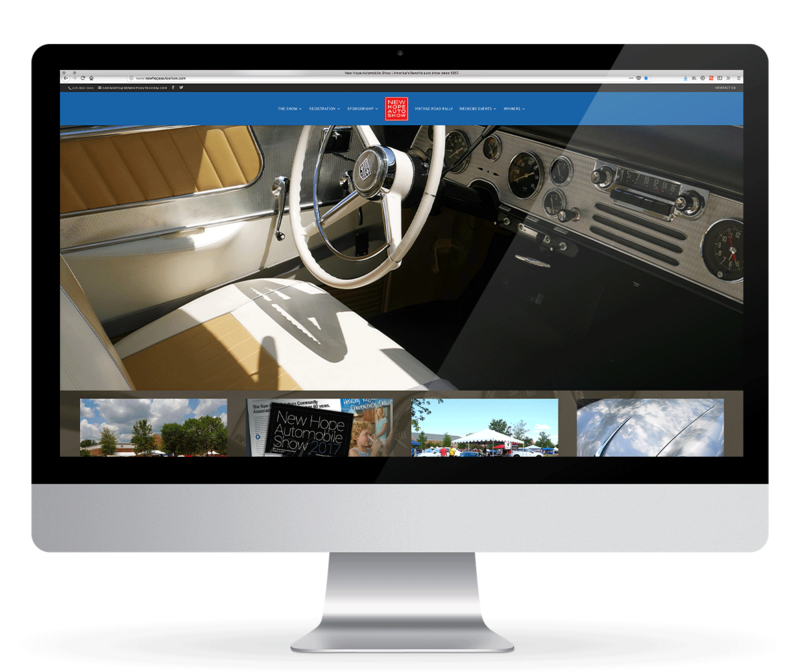 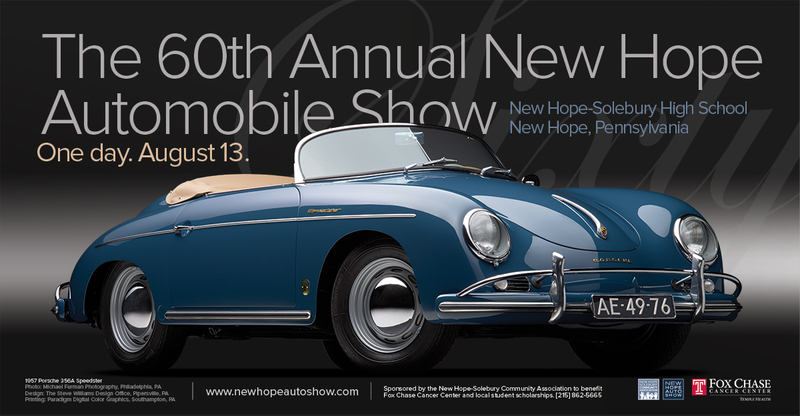 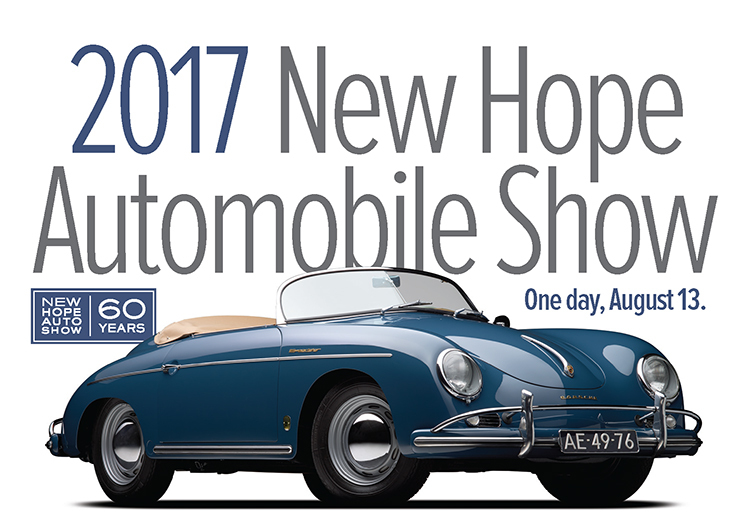 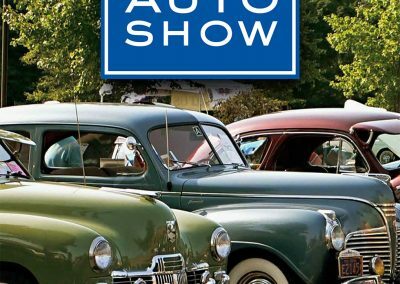 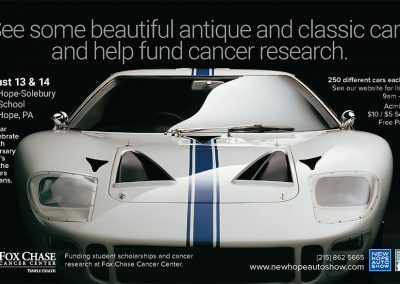 We recently updated The New Hope Automobile Show website to make it mobile friendly and to add features like online registration and mailing list sign-up.